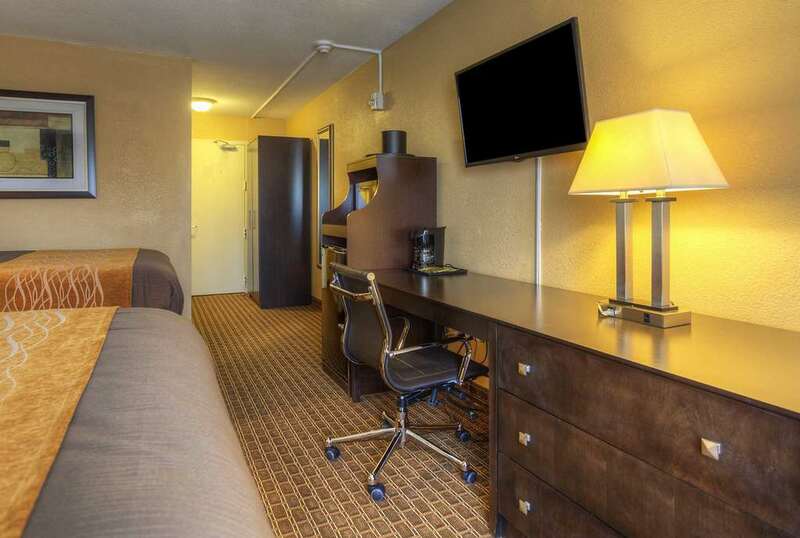 The Quality Inn and Suites hotel in Chattanooga, TN gives you more value for your hard-earned money. Our pet-friendly hotel is near Hamilton Place Mall, Brainerd Golf Course and Ruby Falls. Our amenities include free hot breakfast, free WiFi, free weekday newspaper, a fitness center, seasonal outdoor pool, guest laundry facility and business center with a meeting room for 80, computer with Internet and copy and fax services. Each comfortable guest room features a coffee maker, desk, hair dryer, microwave, refrigerator, pillow-top mattress, iron and ironing board. Our hotel is accessible to individuals with disabilities. Also, earn rewards including free nights and gift cards with our Choice Privileges Rewards program. This is a pet-friendly hotel. Pet fee of 20.00 USD per pet, per night.Limit of 2 pets per room, maximum weight of 50 pounds.